Fouke, AR– The small town of Fouke has a lot going on these days. If you haven’t heard, they have an outstanding Farmers Market, great schools, a growing community, some sort of monster legend, and a mayor that’s….well, we think he’s a pretty good guy. 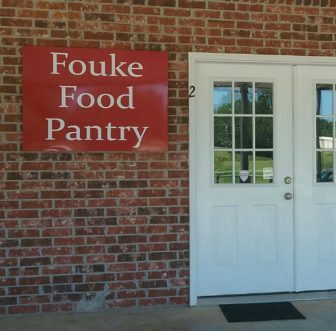 Yesterday that pretty good guy – Mayor Terry Purvis- shared a Facebook post for the Fouke Food Pantry noting that it had just opened last Tuesday and Thursday. Since we honestly did not know this pantry was in operation, we’re thankful to the Mayor for sharing the news….. now it’s our turn…. The pantry is encouraging people to spread the news not only for the hope of reaching more people in need, but also for the hope of reaching people willing to serve or donate. Currently the pantry is in need of two large freezers and volunteers. 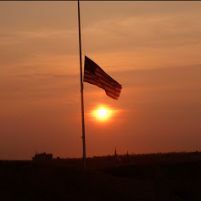 We are sure they can also use donations of canned food items and other things. We encourage you to check out their Facebook page at Fouke Food Pantry. Remember, this organization is a non-profit organization – so all you big companies in town, restaurant suppliers, and others keep in mind that you are midway through the year – you may need a few tax write offs come January of 2018 – what better way to get those write offs than driving a large freezer down to Fouke and making a difference in people’s lives? You could make the difference between someone having a meal and someone going hungry with your donation. Considering an application to the Leadership Texarkana Class of 2018-19? Greet and Graze Monday, June 11, 5:00-6:30 PM Twisted Fork Restaurant, 5522 Summerhill Road Visit with past Leadership Texarkana grads to learn more about the Leadership Texarkana Class experience. Join the many hundreds of Texarkana area citizens from every walk of life who are stepping up as LEADERS in WORKING TOGETHER for COMMUNITY EXCELLENCE.